When many of us came into the sport we took changing accommodation for granted. Not just the presence of such at every event and recreation ground (and nowadays there are many races at venues without dressing rooms) but the fact that they were more than just functional boxes but almost works of art. This page will have pictures of some of these pavilions that we took for granted. 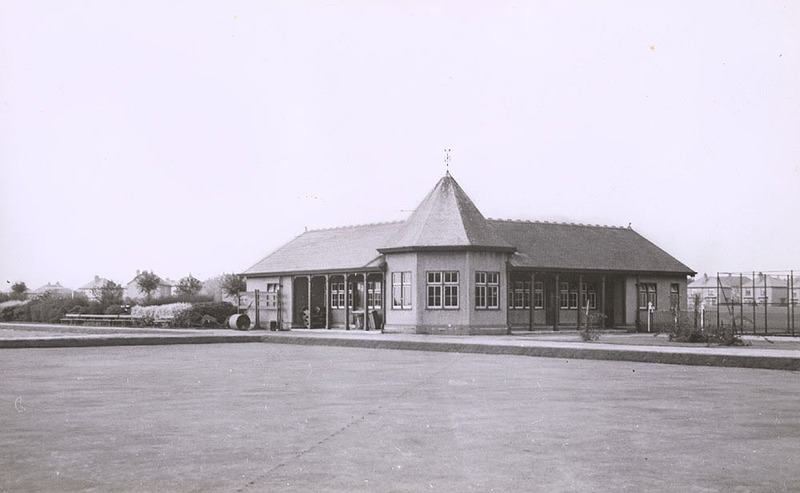 Knightswood Pavilion: Dating from 1929, it is described officially as – The pavilion at Knightswood Park, serving both the bowling green in the foreground and the tennis courts in the background, 1947. 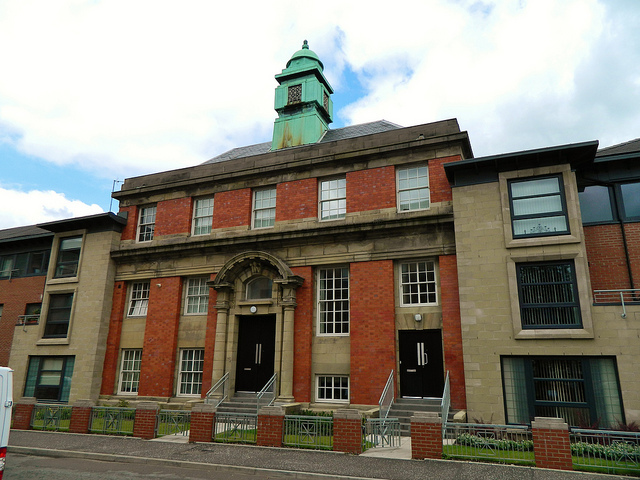 Provision of amenities for leisure and recreation often lagged behind the building of houses in Glasgow housing schemes, but Knightswood fared better than most areas. 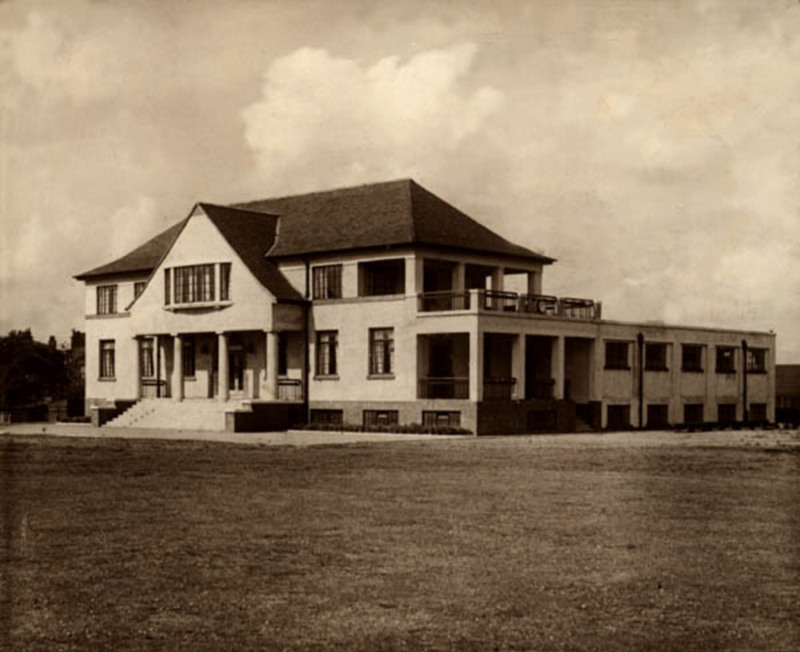 The Corporation acquired 148 acres for Knightswood Park in 1929. 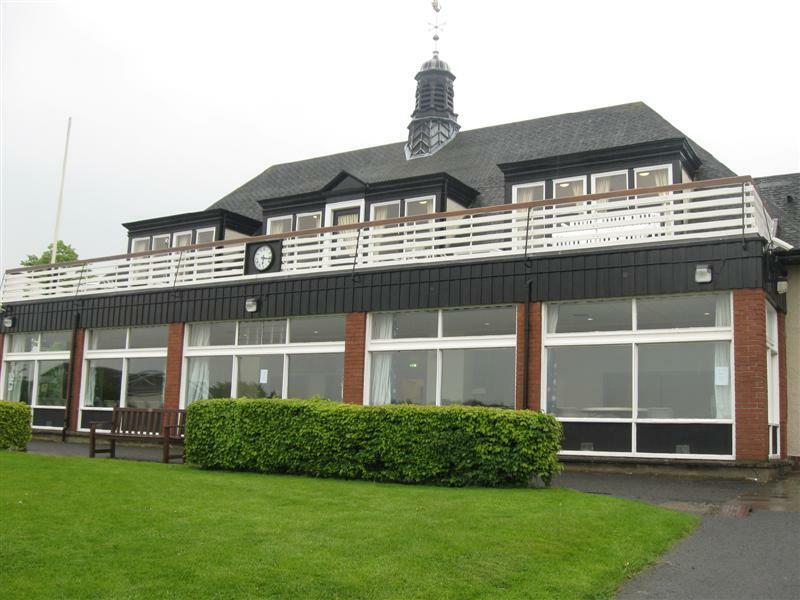 In addition to the two bowling greens and four tennis courts, the park included a golf course, pitch and putt course, boating pond, running track and cricket pitch. The running track was short and almost circular but was used for sports meetings and inter club fixtures pre- and post-war. 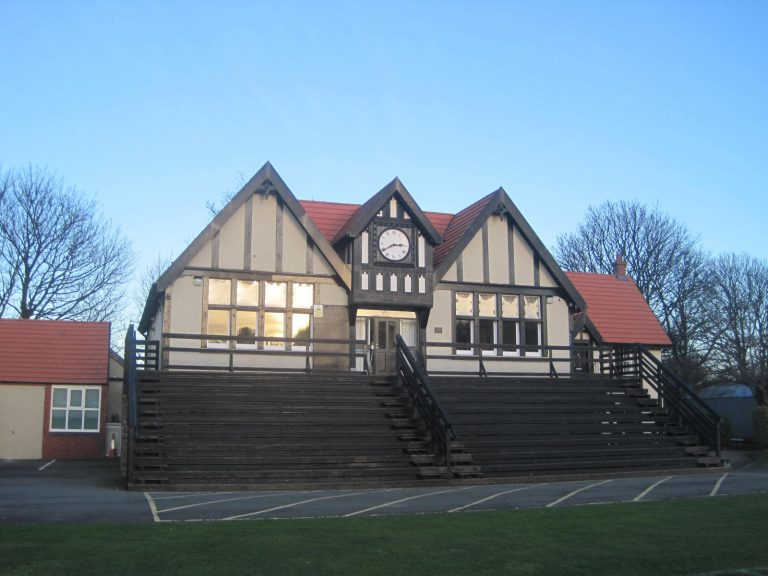 Garscadden Pavilion – In 1933 Glasgow University purchased ground at Garscadden for the construction of a sports pavilion. 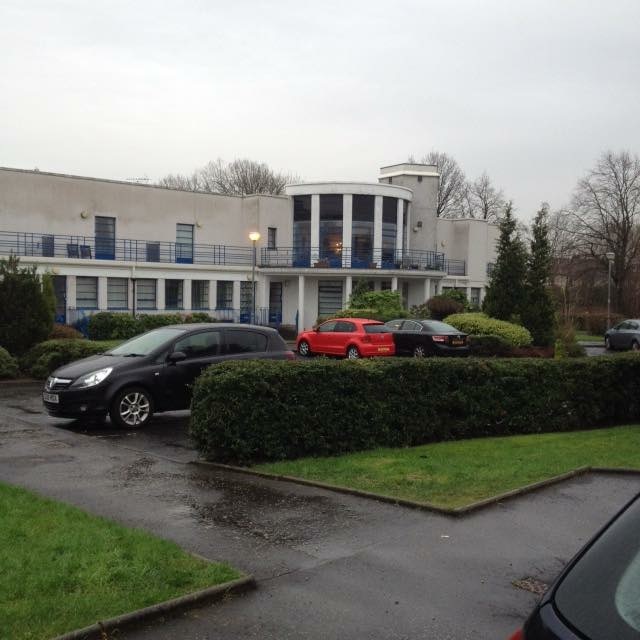 In 1936 the Garscadden Sports Pavilion was designed by T. Harold Hughes in an Art Deco style, the same year that he won the competition to design the University’s Chemistry building (now the Joseph Black Building). The pavilion was extended in 1958 by Alexander Wright & Kay. The Baths are no more. The headquarters of Clydesdale Harriers from the time they opened to their closure, they were described as one of the best winter headquarters in Scotland. Many events used the Baths as their HQ. Only this side wall remains. Whiteinch Baths, Glasgow – “Whiteinch Public Baths was built between 1923 and 1926 by the Office of Public Works. Currently in 1999 it is Category B listed.” This page goes on to describe the smaller pool as being “in a room with arched ceiling and cubicles to either side. The doors of the cubicles are painted with cartoon characters. This is a smaller, shallower pool for learners. It has a frieze on the rear wall depicting children at a beach. This room also has a blue and white colour scheme. 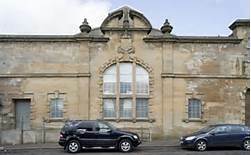 ” Whiteinch Baths was for several decades the winter headquarters of Victoria Park Harriers and prior to that it was used by the local section of Clydesdale Harriers. The original McAndrew Relays were run from these Baths. Mountblow, Clydebank: A sports pavilion that is now simply a really neglected football pavilion. 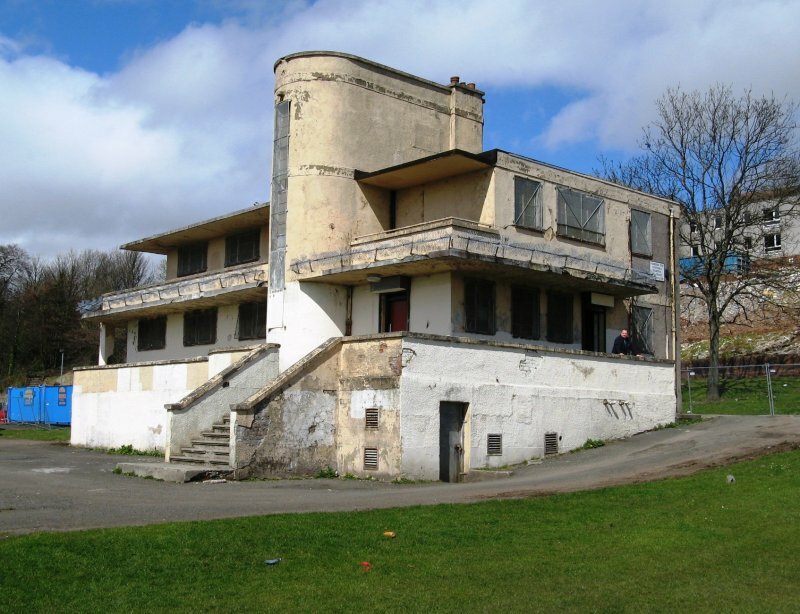 It was for decades the home of Clydesdale Harriers and used by runners from many other clubs – eg the Victoria Park cross-country team of the 1950’s trained there on Sundays. 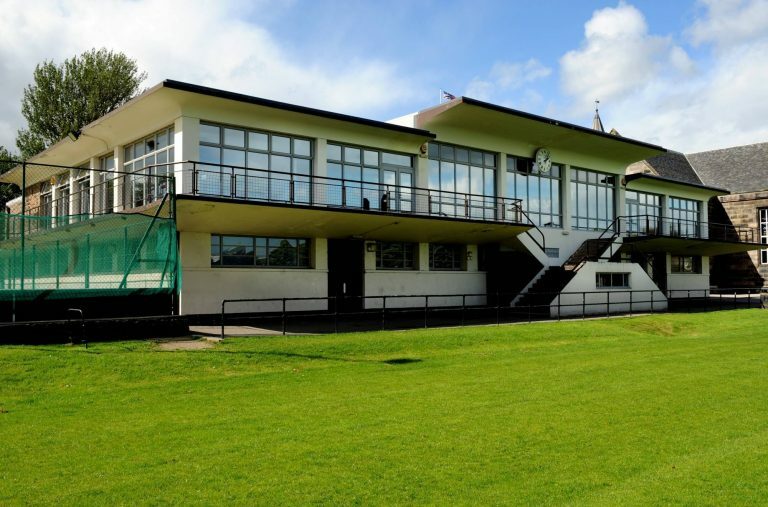 The Clydebank Cricket Club and the Singer Factory Cricket Club played there and it was a genuine local sports facility. 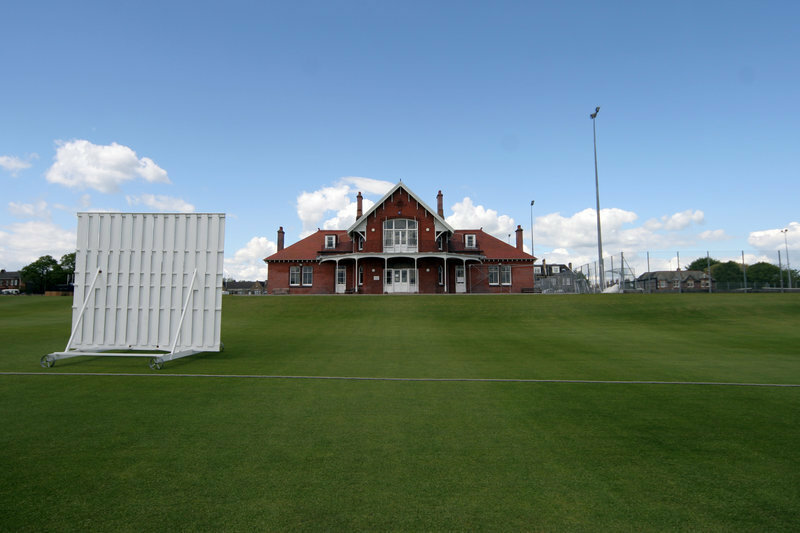 It was officially described as – A rare example of Modern Movement sports pavilion surviving largely unaltered and occupying original recreation ground setting. 2-storey and raised basement, 5-bay, rectangular-plan on sloping site with cantilevered balcony, oversailing flat roof and tall off-centre curved stair tower with vertical glazing breaking eaves. 2 flights of steps to walkway above basement. Rendered brick. Horizontal-pane glazing in metal-framed casements, predominantly tripartite and bipartite, now with later metal grilles to exterior. Later metal roller shutters to entrance doors. INTERIOR: largely intact floor plan. Ground and first floors similar with concrete floors. Changing rooms lead off central corridor, each floor with bathroom with showers. Some early timber benches and coat hooks. Stair with horizontal metal banisters.